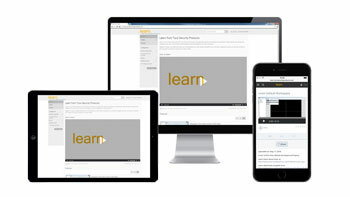 Learn, Tyco Security Products’ new online classroom, offers convenient training for Software House, American Dynamics, Illustra and Connected Partner Program products. Designed to complement traditional classroom training, this handy resource offers an alternative way to better understand and master key product features. With Learn, installers, end users and administrators can readily access an extensive selection of short “how to” video demos right from the desktop or mobile device. Users can use advanced search options — keyword, category, title or description — to quickly find the video resources they need, ideal for troubleshooting in the field. For even greater convenience, registered users can create their own collections of favorite videos to train themselves on new product features at their own convenience. Registered users can also create/join groups to share key media with other users. Service managers now have a quick, convenient way to alert and train installers about new product features remotely. For more information, visit Learn or email learn@tycoint.com. Tyco Security Products is proud to announce that Anita Santos, Tyco Security Products’ Vice President of Marketing, is the recipient of a Woman of the Future Award from WEST (Women Entrepreneurs in Science & Technology), an organization that provides a forum for women working in science and technology industries. Kristy Dunchak, Director of Product Management at Tyco Security Products, will also be recognized as an Up and Coming Awardee at the awards ceremony and panel discussion, on June 16, 6:00-9:00 PM in Cambridge, Mass. For further information, please read the press release. Tyco Security Products presents its new complete and unified security solution in a series of Road Show stops across the United States this summer. Visit one of these events to hear from Tyco leaders and end users, network with industry professionals and see a demo of our latest product innovations. 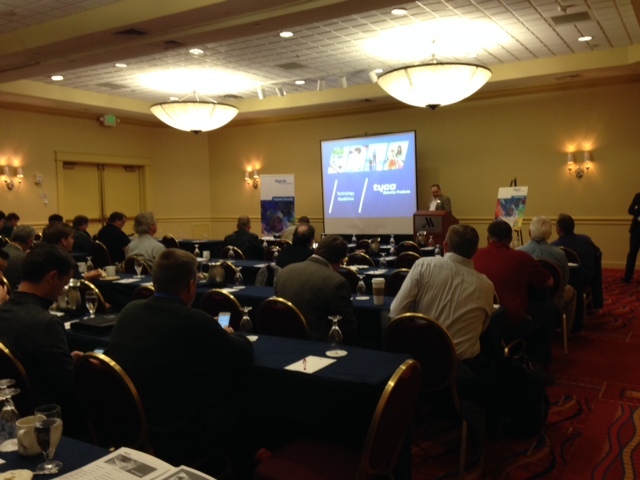 Register for a Road Show near you and learn more about our complete security solutions. The National Institute of Standards and Technology (NIST) developed an IT asset management and cybersecurity best practices guide for the financial services sector. Tyco Security Products served as a collaborating vendor for the creation of this guide. The guide provides a comprehensive view of how to implement standards-based cybersecurity technologies to reduce vulnerabilities, improve response to security alerts and increase resilience. Security engineers and installers will find examples of installation, configuration and integration tips to increase cybersecurity resilience. IT asset management (ITAM) lays the foundation to implementing an effective cybersecurity strategy. Consider risk factors like size, sophistication, risk tolerance and threat landscape. Often the challenge users face is tracking a diverse set of hardware and software. Lack of control of the entire system is another challenge confronted by companies. Many have several different third-party technologies and various contractors involved, which makes a standard across the products a challenge. If you have feedback on the guide or further questions email financial_nccoe@nist.gov. The National Cybersecurity Center of Excellence, part of NIST, addresses businesses’ most pressing cybersecurity problems with practical, standards-based example solutions using commercially available technologies. Learn more about Tyco Security Products cyber protection program.